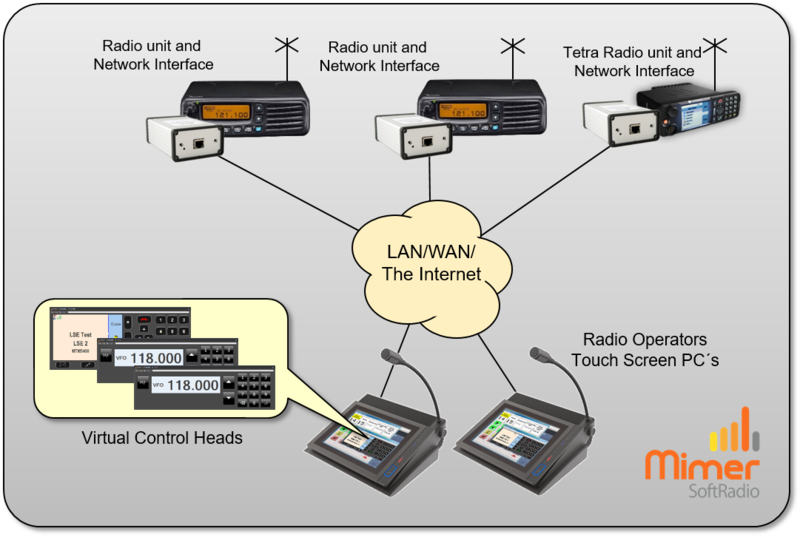 The Airband radio Icom IC-A120 can be remote controlled through Mimer SoftRadio giving the operator the ability to set operating channel, squelch level and ofcourse audio and PTT. 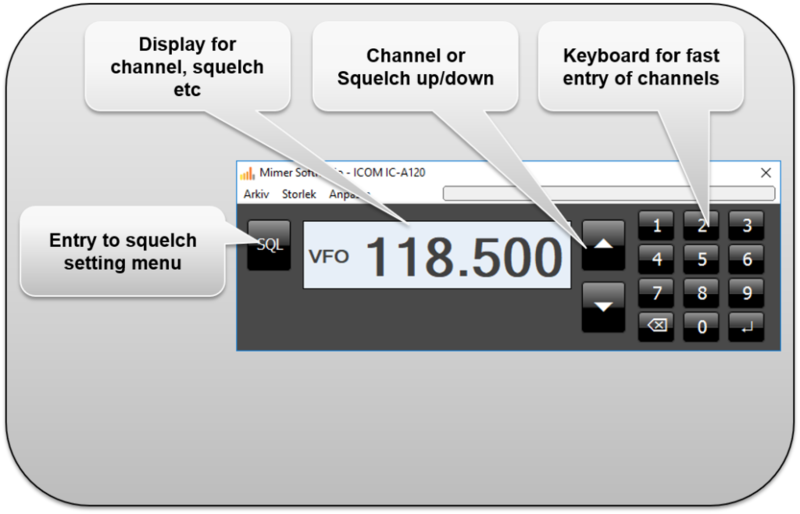 Channel/frequency selection is made by stepping up/down or by entering the channel name on the keypad. There is a virtual keypad on the control head and you can use the PC keyboard. Please note that the radios built in short list of stored memory channels is not accessible. A future upgrade is planned to expand with this function. Also the receiver squelch level can be set from the Virtual Control Head. Connection to the radio is made both from the front microphone connector and from the rear speaker connector. No special programming is needed in the radio. 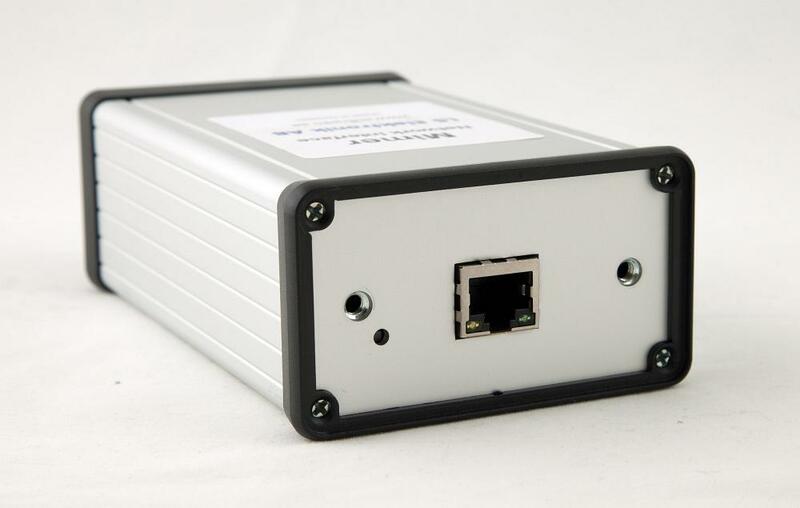 Suitable Network Interface is 3009/42. One airband radio remote controlled from one operator PC. Two airband radios and one Tetra radio remote controlled from two operator PC´s. 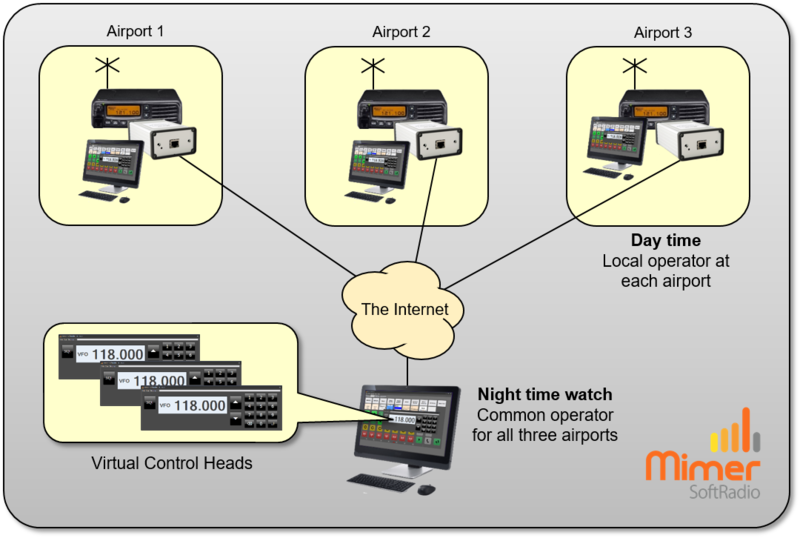 Three airports with local radios and local dispatchers. One common dispatcher for all airports working in parallel. Useful for example when taking over the radio traffic at night.